Massachusetts Institute of Technology, Cambridge, Massachusetts, 1970-74, Ph.D., Physical Chemistry. Northeastern University, Boston, Massachusetts, 1965-70, B.A., Chemistry. Richard King Mellon Professor, 2014-present. Distinguished Professor of Computational Chemistry, 2007 - present. University of Pittsburgh, Chair, Dept. of Chemistry, 2002 - 2005. 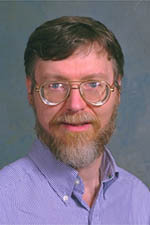 University of Pittsburgh, Professor of Chemistry, 1985 - present. University of Pittsburgh, Associate Professor of Chemistry, 1980 - 1985. University of Pittsburgh, Assistant Professor of Chemistry, 1978 - 1980. Chair, Langmuir Prize (APS) Selection Committee (2006). Senior Editor, Journal of Physical Chemistry (2004 - present). Member, Keck Nanoscale Molecular Electronics Laboratory, Univ. Member, Board of Directors, Telluride Science Research Center (2004 - 2006). School of Medicine, University of Pittsburgh, (2002 - present). Advisory Board, Petroleum Research Fund, ACS (2002 - 2005). Chair, American Conference on Theoretical Chemistry (2002). Editorial Board, Journal of Chemical Physics (2001 - 2003). Visiting Professor, University of Cambridge (2001). Secretary/Treasurer, Physical Chemistry Division, ACS (2002 - present). Editorial Board, Theoretical Chemistry Accounts (1997 - present). Promotion of Chemistry, Visiting Professor, Taiwan (March 1995). Visiting Professor, University of Utah (1994-1995). Visiting Fellow, Australian National University (1992). Subdivision, Physical Chemistry Division, ACS (1988-1991;1997-2000). Review Board (1986 - 1988). Systems, 194th ACS National Meeting (1987). Foundation, August 1984 - August 1985. Visiting Assistant Professor, University of Utah, Summers 1976, 1977.